The United States announced on Friday its decision to withdraw from a decades-long landmark nuclear arms control pact with Russia, sparking worries about future international security and arms race crisis. 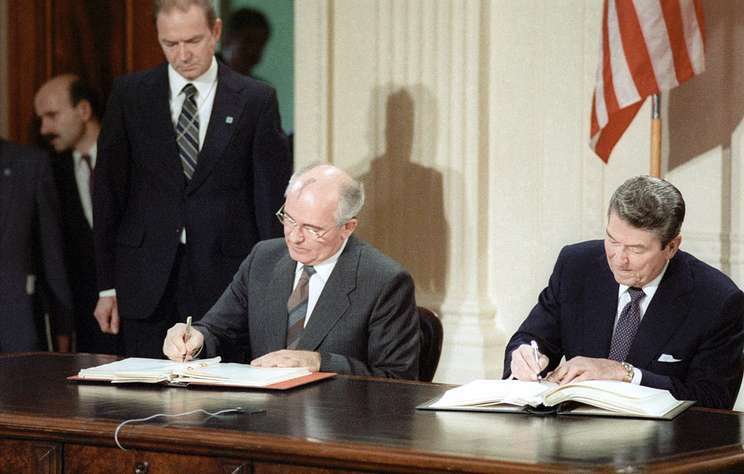 The Intermediate-Range Nuclear Forces (INF) treaty was inked in 1987 between the United States and the Soviet Union on the elimination of intermediate-range and shorter-range missiles. U.S. Secretary of State Mike Pompeo made the exit announcement on Friday, citing Russia’s violation of the deal which he believes “put the United States at a military disadvantage.” Moscow has repeatedly denied Washington’s accusations. Pompeo told reporters that the United States will suspend its compliance to the treaty from Saturday, which will trigger a six-month countdown period leading to a permanent exit. Washington and Moscow have been accusing each other of violating the historic deal. Moscow has questioned Washington’s integrity by crafting such a hedging strategy with regard to the INF Treaty. For Darrell West, a Brookings Institution senior fellow, the U.S. withdrawal from the treaty will further hurt relations with Russia. “Putin sees this as a unilateral, not a negotiated action,” the scholar told Xinhua. The INF marked the first-ever pact reached by the two sides on nuclear disarmament and a major step forward in restricting arms race. Washington’s latest move has generated concerns about possible future conventional and nuclear weapon competition among nations. “The Trump Administration is risking an arms race and undermining international security and stability,” said U.S. House Speaker Nancy Pelosi in a statement on Friday. The administration has “yet again decided that America should go it alone, this time, by paving the way for a dangerous arms race, with costly new weapons,” U.S. Senator Ed Markey tweeted. “The Cold War times have passed. We don’t need a rearmament debate, we need a debate about disarming,” said Germany’s Foreign Minister Heiko Maas. “European security will not be improved by deploying more nuclear-armed, medium-range missiles. I believe that is the wrong answer,” the senior German diplomat told reporters in January. The Trump administration started research and development on missiles after the U.S. Congress authorized 58 million U.S. dollars in 2017 to begin responding to Russia’s INF “violations.” But so far, the work is believed to have stayed within the bounds of the treaty. It’s still unclear what move the U.S. military will make without the treaty’s constraints. Washington’s decision to leave the INF also prompted questions about the fate of the New Strategic Arms Reduction Treaty (START), which will expire in 2021. The START treaty was another disarmament agreement signed by Washington and Moscow in 1991. After the expiration of the original START treaty in 2009, the two sides renewed it in 2010. “That type of process encourages unilateralism on other fronts,” the scholar told Xinhua. The pullout of the United States from the Intermediate-Range Nuclear Forces (INF) Treaty will deal “a powerful blow to the still existing system of international arms control and non-proliferation of mass destruction weapons,” a senior Russian diplomat said Friday. “This is a serious step. It means an actual liberation of Washington from any restrictions related to the operation of the treaty,” Russian Deputy Foreign Minister Sergei Ryabkov said in an interview with Russia 24 TV channel.